global $post; Squirrel Removal & Trapping Toronto, Mississauga, Oakville, Squirrel Trapping- Gotcha Wildlife Inc.
Squirrels are very persistent and will almost always find a way to access your roof. Common nesting sites include attics, chimneys and soffit areas. Common areas of entry include roof vents, plumbing mats, wall vents, roof soffit intersection, fascia, brick soffit gap and chimneys. Squirrel control can be very difficult and they may gain access to your roof via tall trees, overlapping branches, vines, power lines, and all brick types. 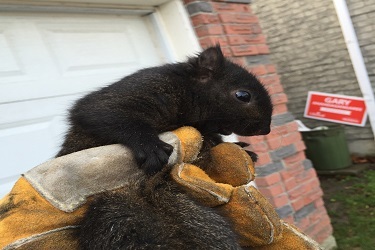 For squirrel removal in Toronto contact Gotcha Wildlife for a business who have years of experience in handling these difficult situations. 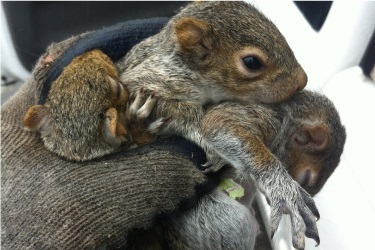 Why are we the people to call effective squirrel removal in Toronto? Our process involves removing squirrels humanely & then sealing all entry points ensuring your home is protected from any future invasions. Squirrel control is difficult, and when they enter your home, it is important to contact an expert before the squirrels become tricky to manage. Squirrels in Toronto are very common and they are always looking for food and shelter. The problem lies in that they are very adaptable to their surroundings and can adapt to urban settings. They will seek shelter wherever possible, and as a result , we are inundated with calls about squirrel removal from homes in Toronto. It is important to manage the problem as squirrels will contaminate your home. 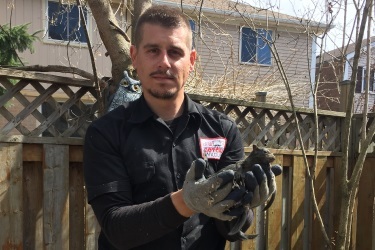 Squirrel removal in Toronto is a problem many homes face and it is important to get in contact with a professional who have plenty experience dealing with these situations. 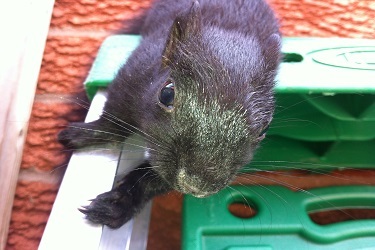 Contact us for squirrel removal in your Toronto home. Our technicians have the expertise needed to remove the animals safely and seal the entrance way. We are happy to discuss your situation and explain exactly what we need to do to get your home back to normal again. Solve the problem today. WHAT DAMAGE CAN SQUIRRELS CAUSE? WHAT HEALTH CONCERNS DO SQUIRRELS RAISE? Not only will squirrels chew on wiring causing a potential fire hazard, but also they will add to this by bringing in combustible materials, which they use for nesting. Squirrels can also damage roof vents, plumbing matts, fascia board, and roof shingles, which will lead to water damage. Squirrels are carries of parasite such as mites, ticks, and fleas.